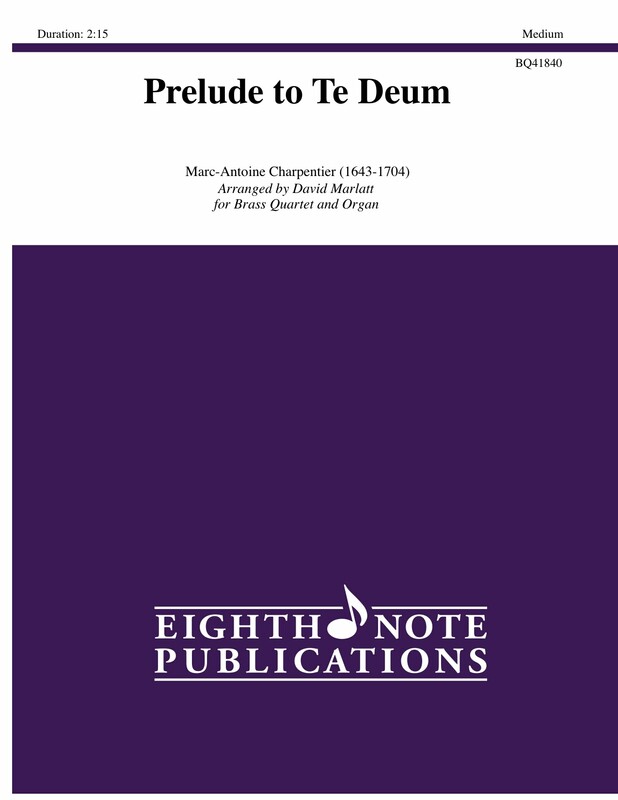 The Prelude to Te Deum is the short opening section which is the most famous part of this work because of its heroic nature, often performed as an organ solo at a wedding. The organ part offers some rests for the brass and a change in timbre. There is an optional timpani part included.